Rosacea is an inflammatory condition that mainly affects the cheeks, forehead and nose. Episodes of flushing where the skin becomes red for short periods of time. Itchy, stingy and burning skin. Permanent redness, which often appears dry. Small white and yellow pimples on the skin which may become fluid filled (pustules). Thread veins, which gradually become larger. Irritation of the eyes, which may appear red and watery. Styes and visual problems can also develop.This is known as ocular rosacea. Thickening and inflammation of the nose. This can become bulbous and develop into a condition called rhinophyma. At Health & Aesthetics, we offer highly effective laser treatment which has shown great results in reducing the symptoms of rosacea in many of our patients. WHAT ARE THE TRIGGERS FOR ROSACEA? Common triggers for rosacea ‘flare ups’ include: spicy foods, alcohol, caffeine, temperature changes, exposure to the sun or wind, stress and skin products, such as oils and moisturisers. The condition can often be hereditary. However, the exact cause is unknown. Rosacea mainly affects people with fair skin but it does occur in people with darker skins. It is also more common in women than in men. The incidence of rosacea is gradually increasing. Mild rosacea can be treated with topical or oral antibiotics. However, resistance to antibiotics can occur and some people may also develop bowel problems and recurrent thrush. Laser treatment is ideal for treating rosacea symptoms such as redness, flushing, broken capillaries and thread veins. The laser energy is absorbed by the pigment in the blood which causes the blood to coagulate and the unwanted vein to collapse, without harming the surrounding tissue. The treated veins then gradually disappear as the healing process occurs. A course of treatments is required but excellent results can be achieved. Facial peels, Dermalux LED Light Therapy and topical cosmeceutical products can also dramatically improve redness, pimples and pustules and boost the overall appearance of your skin. Rhinophyma is a condition where the skin on the nose becomes thickened, swollen and purple. Although it can occur at any age, it most commonly first appears between the ages of 30 and 55. It is particularly prevalent amongst older men. Rhinophyma can be effectively treated with course of fractionated laser treatments. However, in some cases surgical treatment may be required. DOES ROSACEA GET WORSE OVER TIME? Unfortunately, rosacea tends to get progressively worse with time, especially if left untreated. However, with treatment, it is possible to prevent rosacea from progressing and to reduce its appearance. There is no cure for Rosacea but treatment can help to control and improve it. You can enhance the results by using cosmeceutical anti-ageing skincare as well as high level, broad spectrum sun protection to reduce photo-damage. Mirvaso is a topical gel which can make the skin appear less red. The results appear within 30 minutes of application and can last for up to 12 hours. This treatment does not cure rosacea or stop the rosacea from progressing. It only temporarily improves the redness. *Please note that side effects may include skin irritation, flushing or a burning/itching sensation. 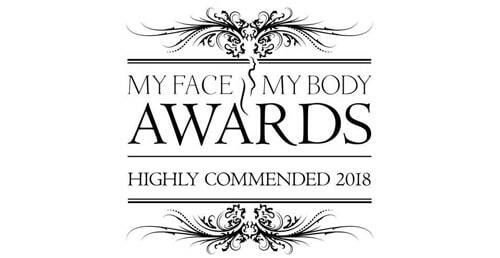 For more information on flushing and rosacea treatments or to book your appointment at our award-winning clinic, please contact us, we look forward to welcoming you at our clinic. HOW CAN FLUSHING & ROSACEA BE TREATED? Flushing & rosacea can be treated in a number of ways. Dr Tailor and her team will be able to advise you of the best treatment option for you. For the past 4-5 years, my main problem has been redness or rosacea on my face. My skin started to burn and feel itchy, blotchy and there were red patches particularly on my chin, cheeks and my nose area. For years, I went to see a dermatologist in London who put me on antibiotic courses one after the other with less and less success. really felt that they let me down, as the antibiotics courses were so intense and at the end I developed some health issues, infections etc. I could hardly believe my luck that there was a skin and face clinic in Farnham, where I live and booked a consultation with Dr Tailor at once. She listened to my concerns and discussed every step with me in detail, what is going to happen, how the products and treatments work and then she proposed a personal treatment plan for my problem. She used a digital equipment to map up my face and analyse the state of my skin underneath. I learnt so much about my skin, the skin cycle and skin health in general! So I started with some selected medicated products from the so-called ZO skincare range and also had a HydraFacial treatment to cleanse and optimise my skin health before the procedure (laser therapy). I have been to one HydraFacial treatment and I loved it! It was so nice and my skin got so clean and glowing. The products are AMAZING, especially the serum called Rozatrol. After first use, I didn’t have red face at all! I love this product and could not believe that a single application of a serum could have such a huge effect on my skin. My new skin regime has changed everything. 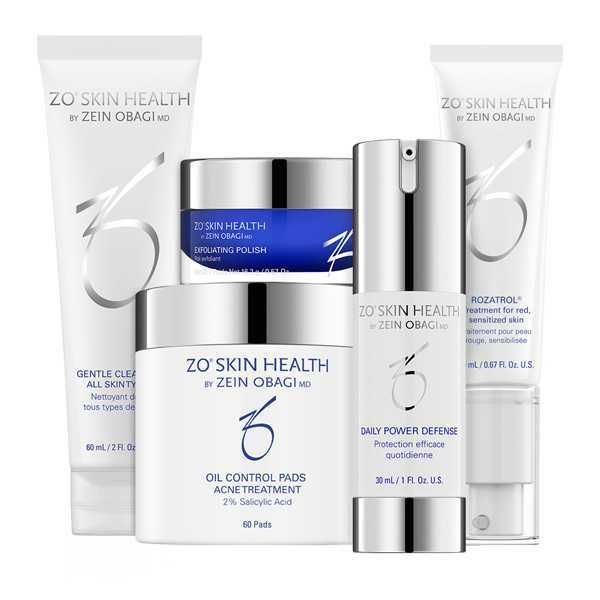 I have been using the ZO products for 6 weeks now, and after 4 weeks I came back for a control skin analysis and the results have been amazing! Beforehand, my skin was red, blotchy and burning and these products just changed everything. I’m really grateful to Dr Tailor and all the staff members to have helped me when I was in despair and felt lost. 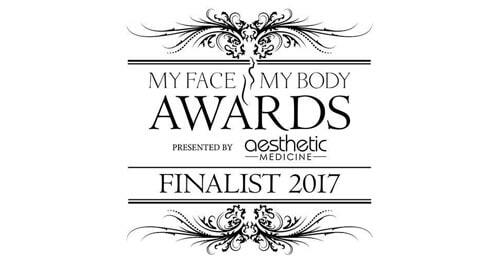 I’m really happy now and can’t wait to have more Hydrafacial treatments and look forward to the laser treatment in a few weeks’ time.